At long last, after years of neglect, the Argus Building is on its way to being restored. 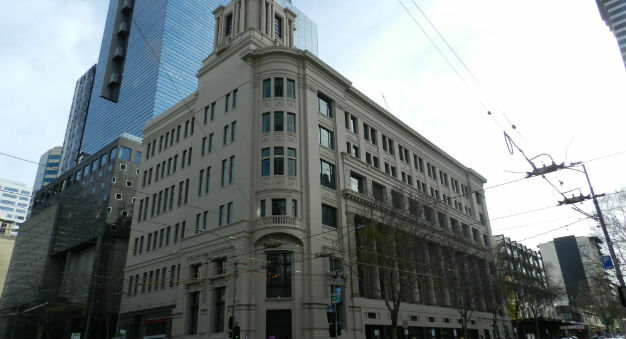 The change is evident from the building’s exterior. Gone is the graffiti that once adorned its walls. The broken windows have all been replaced, the ceiling has been filled in, and traces of mould and asbestos have all been removed. Finally the building looks to have returned to its former glory. Then and now: The Argus as it was in 2012. I remember the wave of dismay I felt upon learning that this shell of a building had once been home to The Argus, Melbourne’s first daily newspaper. 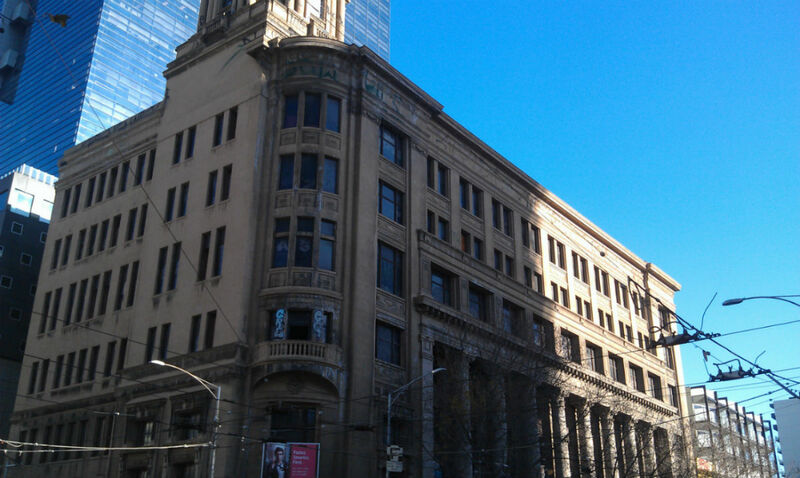 From 1926 til when the newspaper closed its doors in 1957, the Argus Building was a hub for journalism in Melbourne. Never, when I’d pass the Argus while crossing at the intersection of Elizabeth and Latrobe, did I dream that I’d one day have the chance to step through those doors. 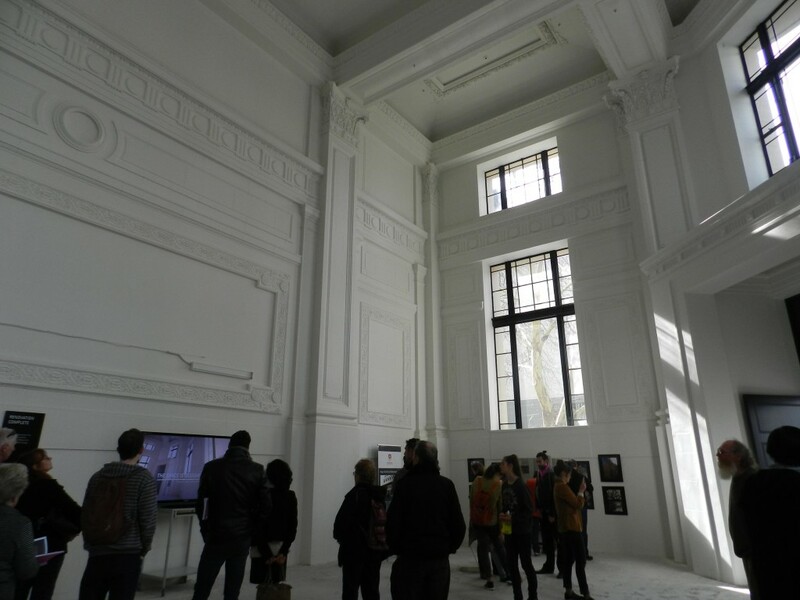 Last weekend I had the joy of exploring the city as part of Open House Melbourne, a free event that sees many ‘hidden’ buildings open their doors to the public. To step inside the Argus and to see it so beautifully restored – I was like a kid at Christmas. 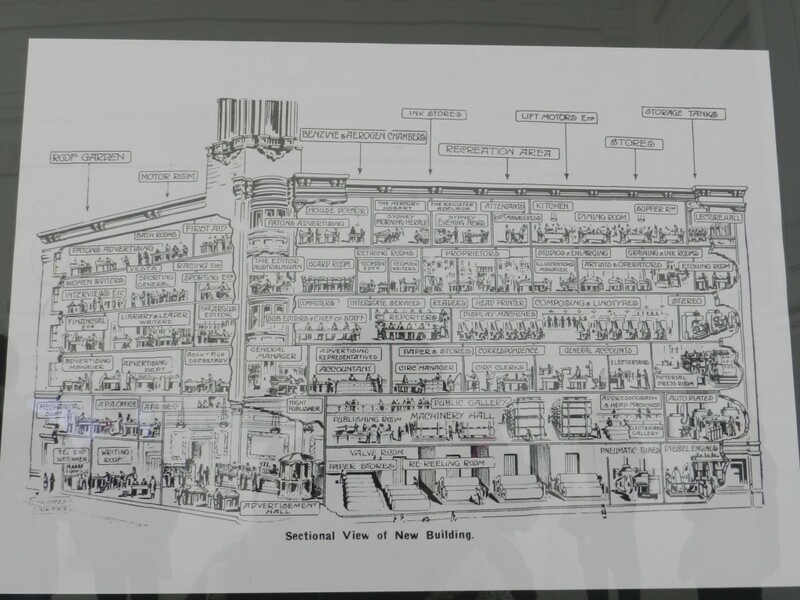 Standing inside the newly-refurbished Advertising Hall, I could imagine the flurry of activity that would have made the Argus so prominent all those years ago – the whirring of the printing presses, the journalists clacking away at their typewriters as they wrote up their stories. Once on the third floor, our tour guide also described how the Editor would stand on the balcony of his circular office and look out across the city. What I wouldn’t give to see those days return. Now that the building is being redeveloped by the Melbourne Institute of Technology, though, at least the building is one step closer to recapturing its potential and magic. 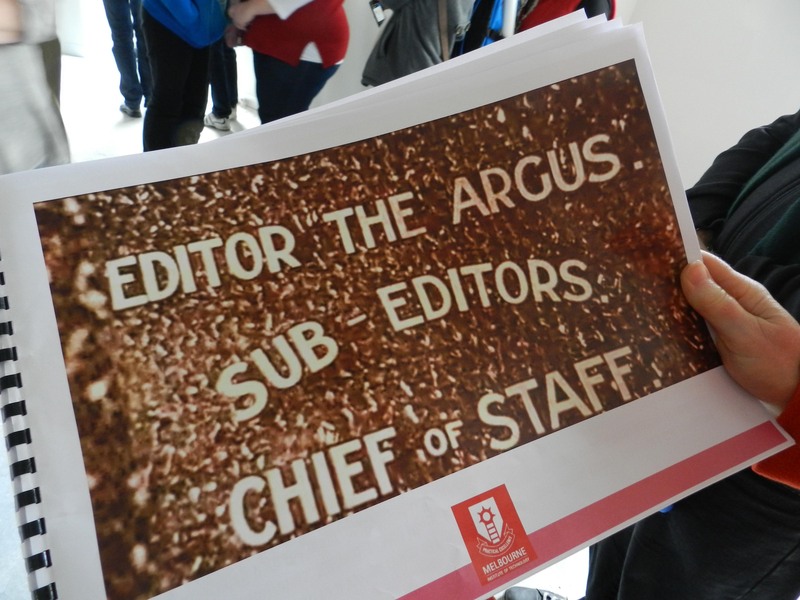 MIT plans to utilise the Argus as a campus for its students, complete with open plan learning spaces, lecture theatres, library and other state of the art facilities. The redevelopment is set to be completed in October 2014. I, for one, cannot wait to see the Argus Building come to life once more. You can revisit my original post on the Argus Building: Home of Journalism here.